Khloe Kardashian has poured a damper on the live happily ever after fairy tale between her and Lamar Odom. 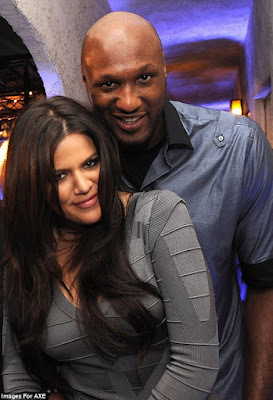 In an interview with People magazine, Khloe Kardashian spoke out for the first time about her rumoured reconciliation with estranged husband, Lamar Odom, following his hospitalization after a drug binge at a brothel in Nevada. "I pulled back on the divorce because there is no rush for it. 'For medical decisions and a ton of other things, it's just smarter that it's put on hold. But that does not mean I'm back with Lamar. It's not even in our brains to think about us having a relationship. Only time will tell.